Several months ago there was a flurry of headlines claiming that Michio Kaku had proven the existence of God. 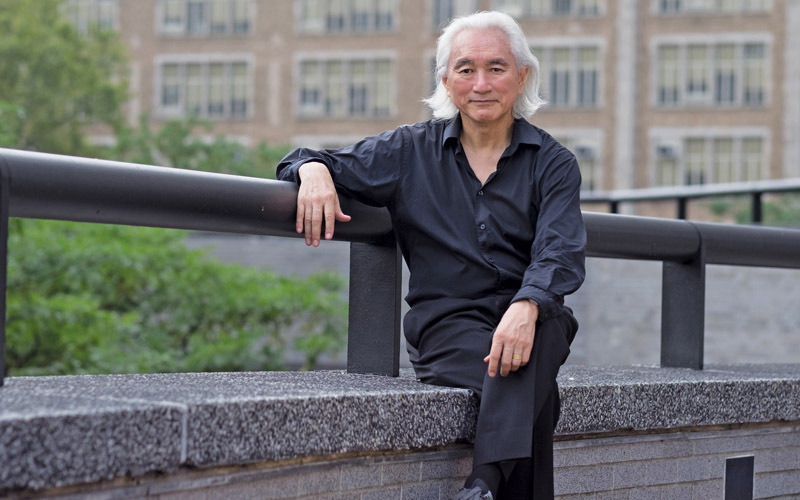 In this exclusive interview with the famous physicist, Kaku elaborates on what happened. I&T Today: You recently made a lot of headlines with your discoveries regarding the possible existence of a higher intelligence. Could you explain what you found? Michio Kaku: There is a website that quoted me incorrectly. That’s one of the drawbacks of being in a public sphere: sometimes you get quoted incorrectly. And the reference I saw said that I said that you can prove the existence of God. My point of view is different. My own point of view is that you can neither prove nor disprove the existence of God. At that point, the conversation is over. You begin to realize that no matter how you falsify that statement they can come back and say, “No, no, no, the history books are wrong.” And, how do you falsify that? You cannot. So, there are certain statements that are not falsifiable. Same thing with the existence of God. I don’t think there’s any one experiment that you can create to prove or disprove the existence of God. Therefore, it’s not a falsifiable statement. You cannot create an experiment that disproves the existence of God. Therefore, it’s a non-falsifiable statement. Personally, I think there’s much wisdom in the God of Einstein. Einstein basically said that there are two types of gods. One god is a personal god, the god that you pray to, the god that smites the Philistines, the god that walks on water. That’s the first god. But there’s another god, and that’s the god of Spinoza. That’s the god of beauty, harmony, simplicity. The universe is gorgeous. The universe is very simple, and it didn’t have to be that way. The universe could have been random. It could have been ugly. It could have been a random collection of electrons and photons. No life, no vitality, nothing interesting at all. Just a random collection of a mist of electrons and photons. That could have been the universe, but it isn’t. Our universe is rich; it is beautiful, elegant. And you can summarize most of the laws of physics on one sheet of paper. Amazing. In fact, what I do for a living is to try to get that sheet of paper and summarize it into an equation one inch long. That’s called the unified field theory. We want to summarize all of the laws of physics into one equation that is one inch long. Now, one version of that is called string field theory, which is a branch of string theory. String field theory allows you to write this equation, this one inch equation. In fact, that’s my equation. I’m a co-founder of string field theory. Now, that’s not the final theory because now there are membranes, and things are more complicated. We have yet to create a one inch equation for strings and membranes. But just for strings we already have a theory that’s only one inch long that allows you to summarize the laws of nature. So, that’s the God of Einstein. The God of beauty, [the idea] that says that the universe is simpler the more we study it. If you’re an English major, you know that English literary criticism gets more complicated every year. Every time someone writes a PhD thesis on James Joyce or Hemingway, they say, “What did he really mean by that sentence?” Well, it gets more complicated every year! Physics is the opposite. It gets simpler and simpler every year. And ultimately we want to get it down to one inch. There is a theory about whether or not the universe is a simulation of some sort, like the movie The Matrix. And then the question is how do you prove it? Or how do you disprove it? Personally, I think it’s another non-falsifiable statement. Just like “Are you Cleopatra?” Just like “Is there a God?” “Is the universe a simulation?” is a non-falsifiable statement. That’s my true opinion. However, there is this website that quotes me saying otherwise. But that’s, I guess, one of the drawbacks of being in the public domain. People misquote you all the time. Taken from our exclusive fall 2016 interview with Michio Kaku. Read the full interview here. All photos by Daniel Riff.